Collective nouns are one of the most charming oddities of the English language. This absorbing book tells the stories of these evocative phrases, many of which have stood the test of time and are still in use today. Entertaining, informative and fascinating, An Unkindness of Ravens is perfect for any history or language buff. 'A thoroughly entertaining and absorbing little publication, set out in an accessible and easy-to-read style' - The Bookbag Why are geese in a gaggle? Are crows really murderous? And what makes lions so proud? 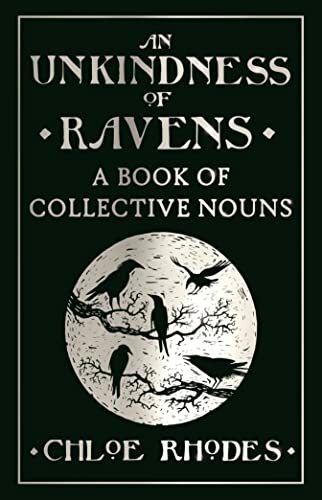 Collective nouns are one of the most charming oddities of the English language, often with seemingly bizarre connections to the groups they identify. But have you ever stopped to wonder where these peculiar terms actually came from? Most of those found in this book have their origins in the Medieval Books of Courtesy, among the earliest works to be published in this country. Despite originating as a form of social etiquette reserved for the gentry, many of these collective nouns have survived to become a curious feature of today's everyday language. This absorbing book tells the stories of these evocative phrases, many of which have stood the test of time and are still in use today. Entertaining, informative and fascinating, An Unkindness of Ravens is perfect for any history or language buff.